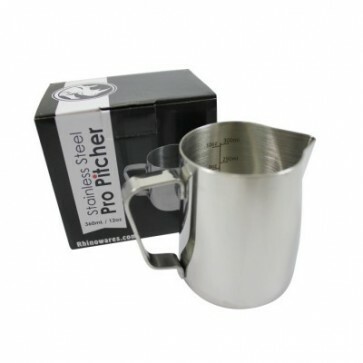 Fix up your frothing game with the Rhino Coffee Gear Professional Milk Frothing Pitcher! 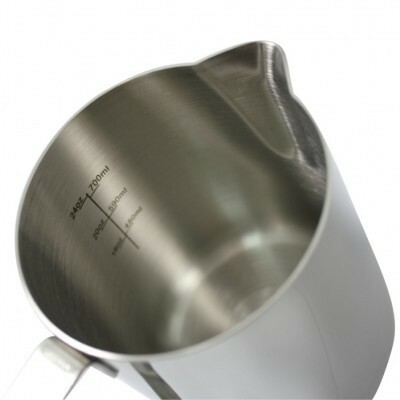 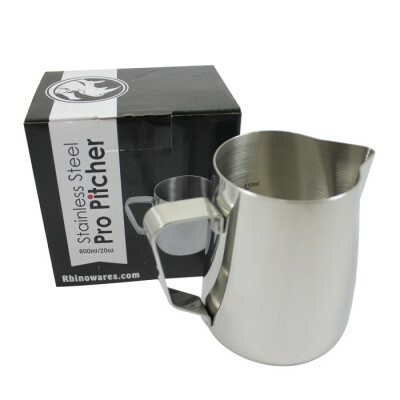 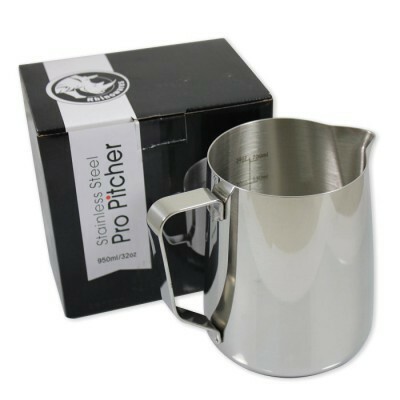 Each pitcher is built from heavy-duty 1mm thick stainless steel, and features ounce and milliliter measurements etched on the inside of each pitcher. 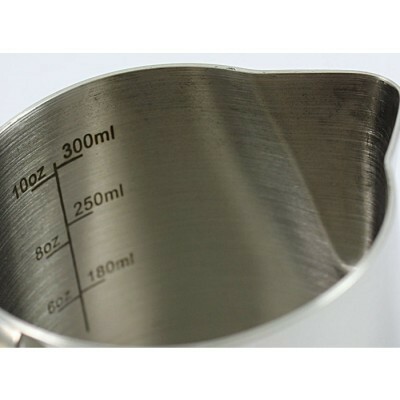 Available in 12-, 20-, and 32-ounce sizes. 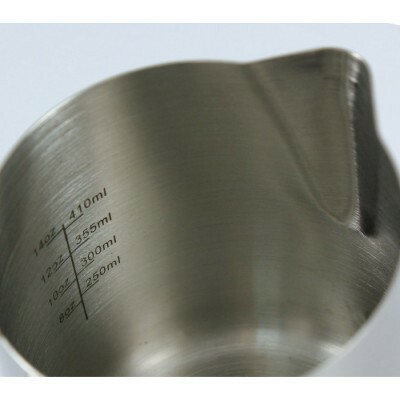 Ounce and milliliter measurements etched on the inside of each pitcher. These Rhino Coffee Gear pitchers are noticeably thicker and heavier than similarly priced models, and would be well-suited for high-volume usage.